This year, hundreds of tiling retailers, distributors, wholesalers, contractors, designers, architects and facilities managers from independent, SME and large scale businesses, will be attending The Tiling Show. From 18th to 20th September, the tiling industry will meet for the first Tiling exhibition, and we’d love to see you there. To register for FREE, all you have to do is visit our website www.thetilingshow.com and click ‘Register’, the online form will take less then five minutes to complete. The Tiling Show is set to attract hundreds of visitors in its first year, with industry leaders exhibiting, a packed schedule and plenty of opportunities to network, conduct business and see business partners, old & new. And it’s all completely free for you to attend! Each day of the exhibition will be full of things for visitors and exhibitors to see, remember the Show & Trends Hub open at 9.30am. The Demo Zone will be in action from 10am each day, as will the Seminar Theatre, that will begin at 10.45am on Tuesday 20th, demonstrating to all in the Harrogate International Centre (HIC) new products and techniques within the industry. On Sunday 18th September, when the show has closed exhibitors and visitors alike are invited to the Street Party networking event which will take place inside the HIC. Find out more below! You’re Invited to the Street Party! You’re all invited to the Street Party on Sunday 18th September! After a hard day at the Flooring & Tiling Show, visitors and exhibitors are invited to wind down with drinks & canapés and a few surprises while chatting with friends, colleagues and new contacts. The party takes place on Kings Street and the main Cafe Street from 17.30 onwards. Houzz is the world’s leading platform for home renovation and design. More than 25 million monthly unique users rely on Houzz to find design inspiration, get advice from the largest home community on the web, source products, research and hire home professionals, and manage home projects from start to finish, and over 700,000 active home professionals use Houzz to showcase their work. The Houzz sessions will cover the fundamentals of how you can grow and manage your company’s online exposure. You can learn how to get discovered, build credibility and how to engage with homeowners. Don’t miss out- catch them at 12.15 on Sunday and Monday and 11.30 on Tuesday. The Tiling Show is so much more than just an exhibition; so make the most of your trip by planning ahead. Use this guide together with our website www.thetilingshow.com to ensure your accommodation & travel plans are sorted and you don’t miss a thing! Travelling by Train: Trains run from most major cities in the UK to Leeds and York, with regular National Rail service running from these stations to Harrogate. Car Parking: Harrogate International Centre has a large underground car park that is FREE OF CHARGE for all Tiling Show visitors. Please be aware that this is on a first come first served basis. Travelling by Air: Leeds Bradford International Airport is 20 minutes from Harrogate and Manchester international Airport is just under two hours from the town. Harrogate has an amazing selection of hotels, within walking distance of the Harrogate International Centre, to suit every budget and style. Once again, we have partnered with Reservation Highway who are the shows official accommodation agent. PLEASE BEWARE of Convention Housing; they are a bogus agency contacting exhibitors. Simply go to the ‘Visit’ section of our website, www.thetilingshow.com, to complete your online booking form with Reservation Highway. Rooms are filling up fast so don’t delay! Street Café: Whilst you’re at the show, don’t worry about heading out for food, make you way tour very own Street Café that can be found near The Trends Hub, offering a variety of delicious snacks and meals to choose from. There are also two smaller catering areas in Halls B & M.
If you haven’t registered to attend, all you have to do is visit our website www.thetilingshow.com and click ‘Register’. The form takes less than five minutes to complete and when you have, you’ll be part of the UK’s National Tiling Event! This years free of charge seminars will be taking place at ‘Speakers Corner’ and will focus on helping visitors and exhibitors alike market products and businesses using various methods: how to price products, make social media work for your company, carpet recycling, caring for wool & trends. Vanessa Brady OBE: How to sell flooring to Interior Designers. David Abbott: e-Commerce Entrepenuer & Consultant, IBP, uses his wealth of marketing experience to help companies get more visitors to their websites & convert them into paying customers. Alan Best: Alan Best Sustainability Ltd,Alan has a background in technical sales and marketing and has particular expertise in environmental and performance certification in construction. He has worked for many years as technical consultant in the EU for Shaw Industries Inc., one of the world’s largest flooring companies. Alan has been Chair of the Flooring Sustainability Partnership and co-author of technical works such as the Croner “Essential Guide to REACH” and writes a monthly Sustainability Column for the Contract Flooring Journal. Jane Gardner: Project Manager, Carpet Recycling UK (CRUK), has extensive experience in running successful industry-led collection trials and schemes, such as the Recofloor vinyl flooring take-back programme and the UK Recovinyl scheme. Andy Jackson: Fusionex, For over 30 years, Andy has worked in numerous Telecoms and IT roles, within the Rail, Utilities, Financial Services, Aviation and more recently Retail and Hospitality sectors. In the last 10 years he has worked mainly for SME’s providing innovative technology solutions to their international, and UK, clients including; American Express, Royal Bank Of Scotland, British Airways and KLM Airlines. Steve Philip: Founder & MD, Linked2Success Limited, has helped hundreds of well known businesses build their client bases and brand awareness through social media. Scarlet Opus: A Trend Forecasting Agency working internationally with manufacturers, retailers, interior designers, architects and trade & consumer press. Providing detailed insight about what will be in-fashion for the world of interiors in 3 years’ time; the future wants, needs and desires of the consumer. They get very specific about colours, textures, materials, shapes and pattern. Discover what flooring will be desired the most in 2017 and why. To see the full schedule of speakers and times please take a look at The Tiling Show website, www.thetilingshow.com. Free demonstrations will take place in Hall Q of the exhibition halls, close to the popular Trends Hub and Seminar Theatre. The Tiling Show is excited to be working with The Tile Association to develop a demonstration area to show the latest techniques and products within the industry. For a full and up to date schedule please look at The Tiling Show website, www.thetilingshow.com. Scarlet Opus will be working with The Tiling Show to curate the Trends Hub, bringing together an imaginative area showing future trends, colour themes and new innovative products. This is a space for both exhibitors and visitors to get inspired and motivated. This year, the Trends Hub will be home to the Window Merchandising Workshop, where groups of five or six retailers will be given a design trend for SS2017 and have it explained to them. 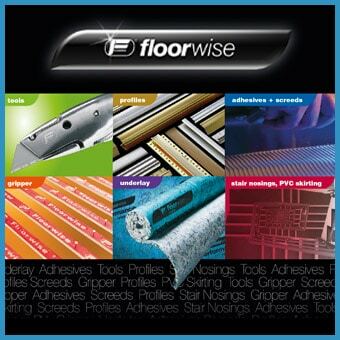 Hints and tips on window merchandising for flooring, tiling and interiors shops. Using a host of props supplied by Scarlet Opus, each group will work with a Trend Forecaster to merchandise their window. With all the windows being created on King Street and the displays changing daily; there will be plenty of opportunity for all visitors and participants to see the results of the workshop and take away some inspiration. To book your space email Julia, [email protected], spaces are limited so be quick! For the full schedule of workshop times take a look at the website, www.thetilingshow.com. We’re inviting a ‘field of experts’ from Consult Yorkshire to give advice during the three day exhibition. Covering a range of topics, there will be no selling, strictly free and helpful advice with no need to book an appointment. Consult Yorkshire offers global skill and experience with Yorkshire integrity, determination & warmth, can you afford to miss out on Asking the Experts?